Cook With Me: French Dip Sandwiches in the Crockpot (So Easy & So Good)! Today I'm going to show you how to make French Dip sandwiches in your slow cooker! This recipe is highly rated from Allrecipes.com and I've used it on several occasions. It's perfect for a crowd or for two! optional: 1 onion sliced I also add some spices like pepper and garlic powder.You can get really crazy and add 'shrooms and pepper strips in there too! Throw the meat, soup, beer, broth and onion (if you're using it) in the Crockpot. Let it cook on low for about 7 hours. And voila . . . it's done! Toast the bun, melt the cheese and throw some meat on the sandwich. If you like, add a side of the cooking juices to use as au jus. Make sure you watch Rite Aid's Video Values for February!! you only have until tonight!!! The lucky winner of the 50 custom brochures from UPrinting.com giveaway is . 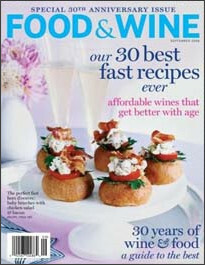 . .
#1 . . . .
Go here to request your 3 FREE issues of Food & Wine Magazine from Pepcid. There are no other strings attached. Freebie: Mi0 Liquid Water Enhancer (Another Facebook Free Sample)!!! 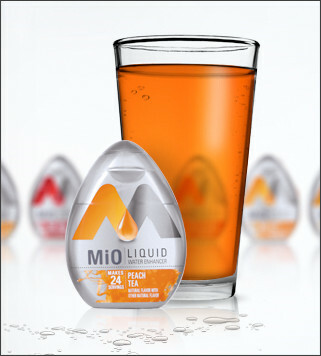 Go here to get your FREE sample of MiO Liquid Water Enhancer on Facebook! Can you believe how many Facebook freebies there are lately?! Forever 21 GRAB&GO SALE!! Online&Instore!! Spice Up Your Wardrobe for Spring!! Don't let the name mislead you, Forever 21 is a perfect place to shop for ladies of ALL ages. They have tops for $5! And these cute tops, can be dressed UP or down :) each around $10! Tanks and basics for $3! This ribbed tank comes in 3 colors and is perfect for layering! Cardigans for UNDER $10! Like this one for $8.99 so versatile! Shipping won't kill you either, if you spend at least $50, its FREE!! Take a peek!! Post any awesome finds!! Redbox will give you a code for a FREE rental on February 24th (Thursday)!!! Cottonelle will hook you up with a coupon for a free item!! and last but not least "like" us at Crunchy Deals and get the latest deals and freebies right on your minifeed!! of Biolage Hydratherapie Aqua Immersion Creme Hair Masque! !